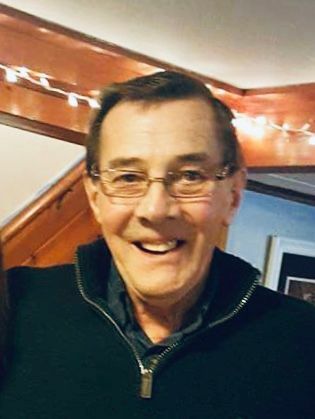 Robert St.Louis, 75, passed away peacefully on Wednesday, January 16, 2019 surrounded by his loving family. Robert is predeceased by his parents Henry and Lorraine (Huberdeau) St.Louis. He will be lovingly remembered by his wife, Shirley (Dexter) St.Louis; his children and their spouses, Michael St.Louis, Vincent D'Ortona, Tiffany (St.Louis) and Brian Taylor, Melissa (St.Louis) Gibbons and Melanie (St.Louis) and Michael Richardson, daughter in law, Karen St.Louis and son in law, Stephen Gibbons; his 5 grandchildren Dylan St.Louis, Emma Gibbons, Brendan Gibbons, Crosby Taylor and Caden Taylor; his siblings and their spouses, Jacqueline McDonald, Henry and Christina St.Louis and Richard and Phyllis St.Louis. Robert will also be missed by his many many sisters and brothers in law, nieces, nephews and cousins as well as many others who were fortunate to work or socialize with him. Robert was born on January 11, 1944 in Haverhill, Ma. He spent the first 17 years of his career at General Electric and the next 22 years as owner and operator of SEM-COM Machine Co. He then spent the last 17 years of his career at Home Depot as a Dept Head as he was never able to be idle. He was an avid outdoorsman and enjoyed fishing, camping and hunting but most of all he enjoyed long, slow walks in the woods with his family. If you enjoy a dry sense of humor, he was your man. He had a range of favorite jokes from breaking into spontaneous speed skating around the living room during the Winter Olympics to when food shopping with his girls he would "forget" to take the tissue out of his nose if the cashier was a particularly cute boy. He was also famous for hollering "Hi How are ya?" at random people on the street and enjoy their confusion as to how they knew him. Despite all these outgoing tendencies he was also a gentle, quiet, happy to sit back and watch, kind of man. He was always so dapperly dressed and had every hair in place. Bob, as his friends and family knew him, most of all loved spending time with his family, especially his grandchildren. The family expresses heartfelt appreciation to all the nurses and staff at Anna Jaques Hospital in Newburyport, Ma. Visitation with the family will be held on Sunday, January 27, 2019 from 1PM – 5PM at Conte- Giamberardino Funeral Home, 14 Pleasant Street, Georgetown, Ma. In lieu of flowers, please consider a donation to the American Cancer Society and/or MSPCA. Please consider jotting down an anecdote or special memory of Bob to be shared with his grandchildren. If unable to be personally delivered, they may be sent to the family c/o the Funeral Home. For Funeral Home directions or to sign into the guest book, please visit www.cgfuneralhomegeorgetown.com.